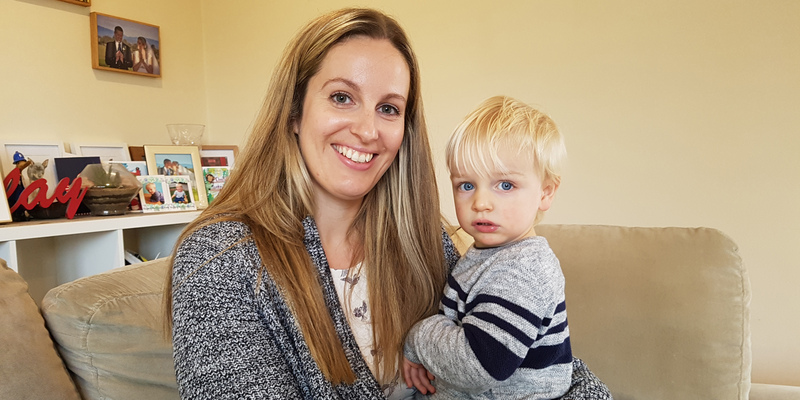 Cat Bower developed a severe form of pre-eclampsia when pregnant with her son Toby. Around 500 pregnant women considered at high risk of pre-eclampsia will be invited to take part in the study which will test whether taking the reflux drug Nexium reduces their risk of pre-eclampsia. Pre-eclampsia is the world’s most common serious medical disorder in pregnancy and can be life-threatening for both mother and babies. About one in 20 pregnant women experience pre-eclampsia, which leads to dangerously high blood pressure in the mother and can involve her kidneys, liver, brain and other organ systems. Nexium has been shown in the laboratory to potentially target two proteins that are known to be released from the placenta in abnormal amounts in pregnant women destined to develop pre-eclampsia. This trial, led by the University of Sydney in partnership with Melbourne’s Royal Women’s Hospital, will investigate whether the positive laboratory outcomes translate to a benefit in humans. The study’s Chair, Dr Jonathan Hyett, who is head of high risk obstetrics at Royal Prince Alfred Hospital and Clinical Professor at the University of Sydney, said it was an exciting trial. “It is very challenging to undertake trials in pregnant women so it is exciting to find a drug, which has been around for many years and shown to be safe in pregnant women, that may also influence the proteins known to be involved in pre-eclampsia,” Professor Hyett said. The trial co-investigator, Professor Shaun Brennecke, who is the Director of Pregnancy Research at the Royal Women’s Hospital, and from the University of Melbourne said there was an urgent need to find a safe and effective treatment for such a serious pregnancy condition. “There is currently no treatment for pre-eclampsia and the only way to stop the condition is to deliver the baby. If a woman develops preterm pre-eclampsia it means a baby will need to be delivered early and that can result in long-term disability in the child,” Professor Brennecke said. Currently the only effect way of preventing pre-eclampsia is to take aspirin which, if started before 16 weeks of pregnancy, can reduce the risk of developing early onset, preterm pre-eclampsia by between 60 and 80 per cent. However, aspirin is not an effective treatment once pre-eclampsia is present. Researchers from the Mercy Hospital for Women last year published research showing that in the laboratory, Nexium could block proteins associated with pre-eclampsia from being released from the diseased placenta. Women who are considered at high risk of pre-eclampsia will be invited to take part in the trial from 12 weeks into their pregnancy. The trial is funded by a $1.5 million National Health and Medical Research Council grant and will take place at seven hospitals across NSW, Victoria and South Australia. The test is currently available to patients at the Royal Women's Hospital and the blood samples are analysed by pathology services at the Royal Children's Hospital. Patients interested in accessing the test should discuss it with their obstetrician. Clinicians wishing to refer samples for testing can contact the Biochemistry Department, Laboratory Services at the Royal Children's Hospital on 93454200.